In small bowl, mix cream cheese, mayonnaise and sun-dried tomatoes until well blended. Gently stir in bacon. Spread mayonnaise mixture evenly over tortillas. 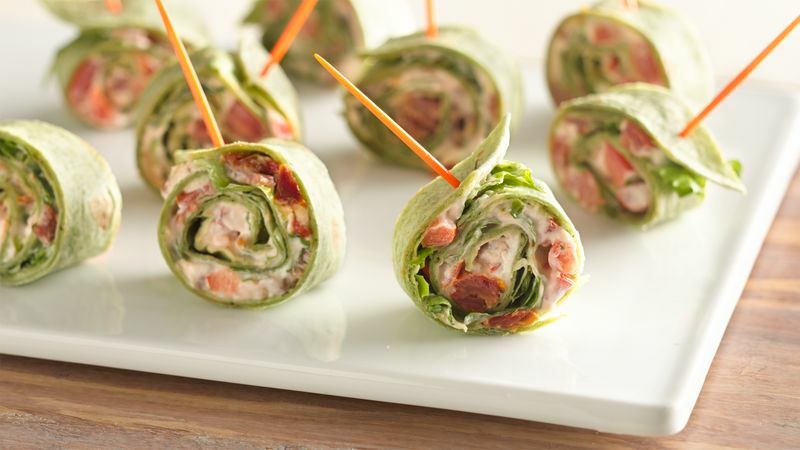 Top each evenly with plum tomatoes and lettuce; roll up tightly. Wrap each tortilla roll in plastic wrap; refrigerate 1 hour. To serve, with serrated knife, cut each roll into about 1-inch-thick slices. Be sure to use a serrated knife to cut the pinwheels. A regular knife will squish them down as it cuts.